A bipartisan bill that would add post-traumatic stress disorder (PTSD) as a qualifying condition for New York’s medical marijuana program passed the Senate Health Committee 15-1 on Tuesday. S 5629 is sponsored by Sen. Diane Savino (D-Staten Island) and co-sponsored by several senators, including Sen. Martin Golden (R-Brooklyn), who previously opposed medical marijuana legislation. A companion bill, A 7006, received overwhelming approval from the Assembly last week (101-6). Several proposals to expand the medical marijuana program have passed the Assembly and failed in the Senate Health Committee, soTuesday’s committee vote marks a significant step toward the passage of S 5629. Patients, advocates, and other observers have criticized the program for being unnecessarily restrictive, but it has begun to expand following several recent regulatory changes, including the addition of chronic pain as a qualifying condition. Twenty-four of the 29 states with medical marijuana programs allow patients with PTSD to qualify. In two of the states that do not, Colorado and Alaska, marijuana is legal and regulated for adults 21 and older. A bill to add PTSD to Colorado’s medical marijuana program was approved by the Legislature last month and is now awaiting the governor’s signature. Bills to add PTSD are also making their way through the legislatures in Vermont and New Hampshire. 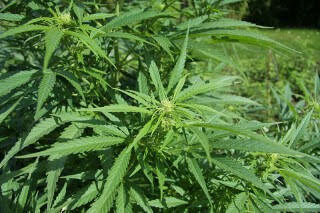 The Marijuana Policy Project is the nation’s largest marijuana policy organization.